IONA Technologies' acquisition of LogicBlaze last April has culminated in the announcement this week that IONA's providing a coordinated array of open-source products available under the new FUSE family. Based on projects hosted by the Apache Software Foundation, the FUSE components will provide messaging, SOA connectivity, and service enablement for a variety of IT environments. All are interoperable with Artix, IONA's commercial SOA infrastructure. When it announced that it had acquired LogicBlaze, IONA leaned heavily on the fact that the deal included SOA heavy hitters Hiram Chirino, Rob Davies and James Strachan, who have impressive resumes and were undoubtedly key to IONA's support strategy with the new FUSE products. IONA said at the time "LogicBlaze's employees are respected experts in the open source community, and are key contributors to the most popular open-source projects related to SOA, including Apache ActiveMQ and Apache ServiceMix." "To say that would be plain wrong. Celtix had become CXF in Apache, and CXF is one of the underpinning projects in FUSE, too. If anything, we're fusing Celtix and LogicBlaze." The assemblage of these components rationalizes and streamlines the open source SOA approach that IONA is banking on to grow its traditional and the emerging SOA businesses. The components provide an on-ramp for a variety of types of users, developers, and architects. The variety of offerings allows flexibility on adoption paths, to find the right fit for SOA infrastructure, while leveraging the benefits of an Apache open source license and community. FUSE ESB -- Based on the Apache ServiceMix project, FUSE ESB is built on the Java Business Integration (JBI) specification. FUSE Message Broker -- Based on the Apache ActiveMQ project, FUSE Message Broker is a JMS-oriented messaging platform. FUSE Services Framework -- Based on the Apache CXF project and formally known as the Celtix Advanced Service Engine, the FUSE Services Framework is designed for service creation, integration and reuse of technical and business service components. FUSE Mediation Router -- Built upon the Plain Old Java Object (POJO)-based Apache Camel project, FUSE Mediation Router provides a lightweight, rules-based and transport-neutral routing and mediation engine that leverages Enterprise Integration Patterns. IONA is also offering several support models at different pricing levels, ranging from 8/5 technical support to 24/7 support for enterprise mission-critical projects in production, and also ranging from per-incident pricing to unlimited support. A new Website for the FUSE community -- open.iona.com -- features user forums, wikis, tutorials, sample applications, and documentation for spurring on FUSE adoption. The site also features downloads, access to tooling, and early access to additional project code. 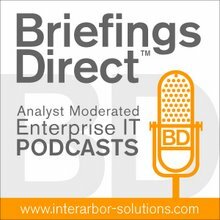 Disclosure: IONA is a sponsor of BriefingsDirect B2B podcasts.